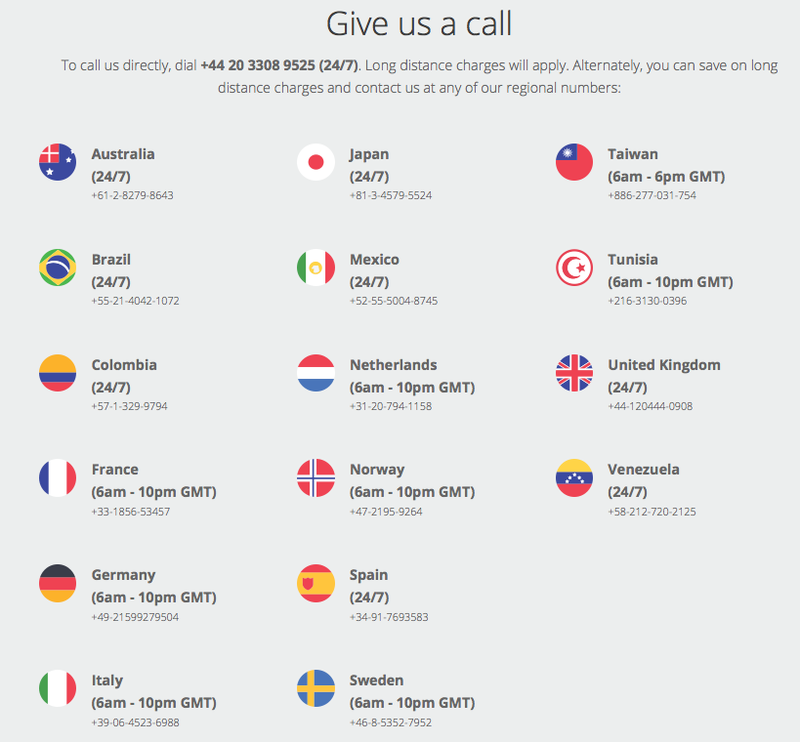 There are several ways to contact the NETELLER Support fast and easily. For general issues, calling or using the live chat option is the fastest and most comfortable option to choose from, but you can also send them an email, or contact them via Twitter or Facebook. If you choose to contact support through email or their contact form, please use the mail address you are using for your account. Please also make sure to have your account ID number ready which shows in your account overview when you log in and is a 12-digit number. 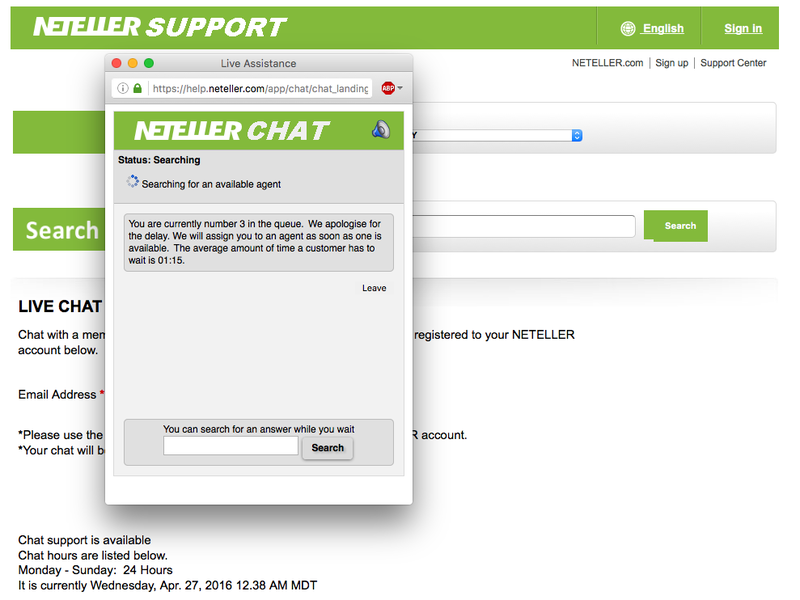 The fastest way to contact NETELLER Support is to use the “VIP Live Chat” option available within your account. Please note, the live chat is only available to VIP customers, but all our clients should be upgraded to silver VIP and can use the live chat option. If that is not the case yet, please request your silver VIP upgrade with us. The NETELLER Live Chat is available 24/7. 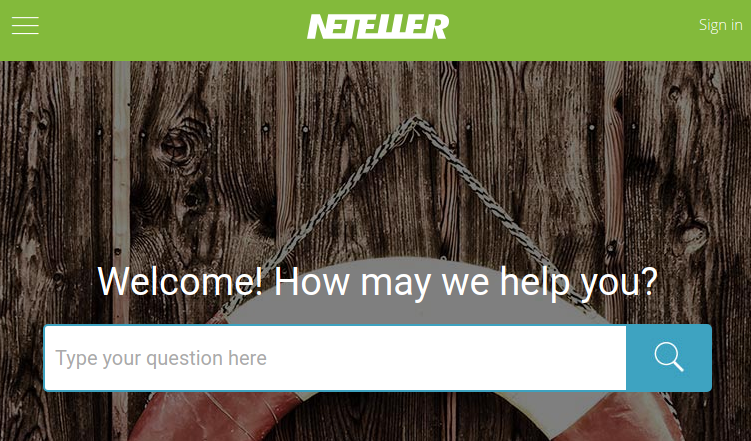 Another way to contact NETELLER Support is via email or their website contact form. 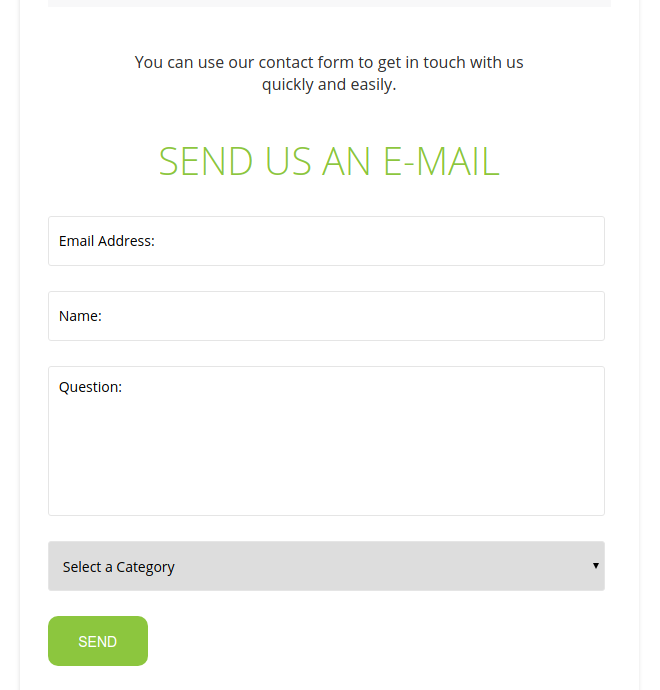 Simply visit their website and use this contact form or use the provided mail address to send an email. Please make sure to describe your issue as detailed as possible and also add your account ID number and mail address. The NETELLER support will get back to you within 1-2 business days then. NETELLER offers 16 different hotlines separated for the country of your residency. Using their phone support is the fastest way to get in touch and should be used if possible to speed up the whole process for you. Please enlarge this image to check the hotline and choose your preferred phone number from the list. 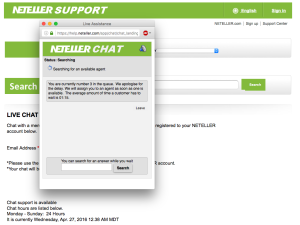 If your NETELLER account is disabled for any reason, you will need to call the NETELLER Support directly. Please see the option above to get access to your account reinstated as soon as possible. Make sure to use your real phone number in your NETELLER account so they can verify you easier and faster. Also make sure to know the answers to your security questions. Please also note, if your account was permanently closed (terminated) by NETELLER, there is almost no chance to get your account activated again. This decision is final and NETELLER will not allow to re-open the account or to open another account with them. 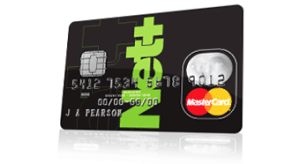 If your NETELLER Net+ MasterCard has been lost, stolen or compromised in any way, please contact NETELLER Support immediately at +44 20 7526 9219 to cancel your card. Please note that your funds can only be refunded for any kind of fraudulent use if you get the card cancelled as soon as possible. Besides the above mentioned contact options, we also offer a personalized support for all clients that are registered with us. If you are a registered client, we will be happy to help you get your support issues solved faster and help with any problems you might encounter. Please contact us or send an email to help@ewallet-optimizer.com and we will try our best to help you as fast as possible. Free p2p transfer and highest limits.